Azerbaijan, Baku, 21 August / Trend corr. I.Alizade / Haji Gamat Suleymanov, Imam of the Abu Bakr Mosque in Baku, where the blast took place, believes that this incident was directed towards violating stability in Azerbaijan. "Blast at the mosque is a terror and directed towards violating stability in Azerbaijan and against us," Haji Gamat, Imam of the Abu Bakr Mosque, which is located in Narimanov District of Baku, said. The blast took place at the Abu Bakr Mosque in U.Bunyadzade Street of Baku city at 08.50PM on 17 August. Unknown man threw two RGD-1 kinds of grenades into the Mosque, breaking the Mosque's window with stone. According to the official information, two men died in this incident, whilst unofficial source said that three men died. Investigation of this incident was commissioned to the Baku City Public Prosecutor's Office and criminal case was filed on this incident in accordance with Articles 120.2.4 (deliberate homicide through common dangerous method), 120.2.7 (deliberate homicide of two or more people) and 228 (illegal purchase, transfer, sale, storage, conveyance or carrying of firearms, components details of them, ammunition, explosive substances and facilities) of the Criminal Code. Emin Rasulov, a 22-year old resident of Astara Region, was arrested as a suspect. A criminal case was filed on him in line with Article 283.1 (instigation of national, racial or religious hostility) of the Criminal Code. "At present the main issue is to reveal the crime and arrest criminals. Everything will be clear after it. I do not want to make any statement beforehand," Haji Gamat said. Commenting on statement that blast at the mosque is connected with differences aroused amongst religious men, Haji Gamat said that he supported peaceable solution of this misunderstanding. "There is not any man in the world, whose opinions are accepted by everybody. Everybody has rivals, who do not agree with his/her opinions. Perhaps, we have differences, as well. I never supported to solve differences through this way - the way of terror. Nobody expected that such incident would take place. We were attacked during pray. I address to the public to help reveal this crime and say everything, which they know about the incident, to the law enforcement agencies," Imam of the mosque said. According to Haji Gamat, his health is normal and treatment lasts at home. Imam said that he came to the mosque every day. "I visit the mosque. We will re-establish its activity within few days and doors of God's house will be open for religious men again. There is not any problem to restore activity of the Abu Bakr Mosque," Imam said. Haji Gamat did not exclude the opportunity to apply to the Interior Ministry for ensuring security of religious men. He stated that defence of the mosque would be strengthened by law enforcement agencies and religious men. "The mosque had a police control. We followed it, especially, during Friday's pray. Perhaps, we will apply to the Interior Ministry to strengthen mosque's defence," Haji Gamat said. 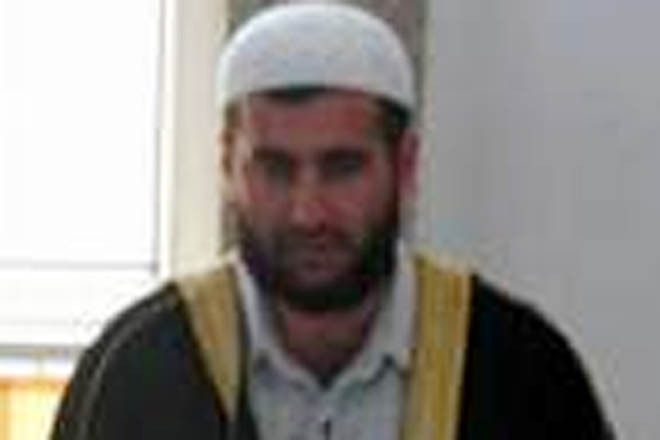 Imam did not exclude the possibility of radical groups' presence in Azerbaijan, but he did not connect it with the Abu Bakr Mosque. "Radical forces exist and it is incorrect to connect them with us. We have always been against radicalism and struggled and will struggle against it. These radical forces demand order to hold jihad and struggle against the government. They were divided amongst themselves, as well. One part of them consider necessary to hold jihad and other part to struggle against the government. We do not agree with it. However, I believe that they do not have considerable force," Imam of the mosque said. According to Haji Gamat, development of the world influence on formation of radical forces: "The forces, who watch events in Afghanistan and Iraq through the television, basing on destruction of Muslims in the world, submit youth, who have less life experience and no education, as well as socially weak people and use them." He did not exclude that the blats at the Abu Bakr Mosque might be connected with these forces. "Everything can be. I gave evidences on this incident to the investigation," Haji Gamat said and noted that earlier he did not notice any suspicious thing around the mosque.